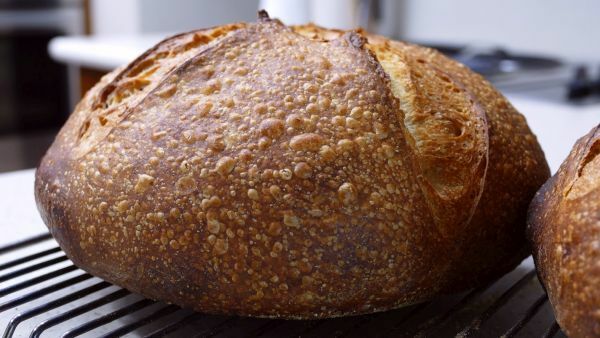 My favorite loaf is the very sour San Francisco Sourdough style bread. It’s why I started baking sourdough almost 14 years ago. It’s why I started a blog, wrote books and also built a company around sourdough. 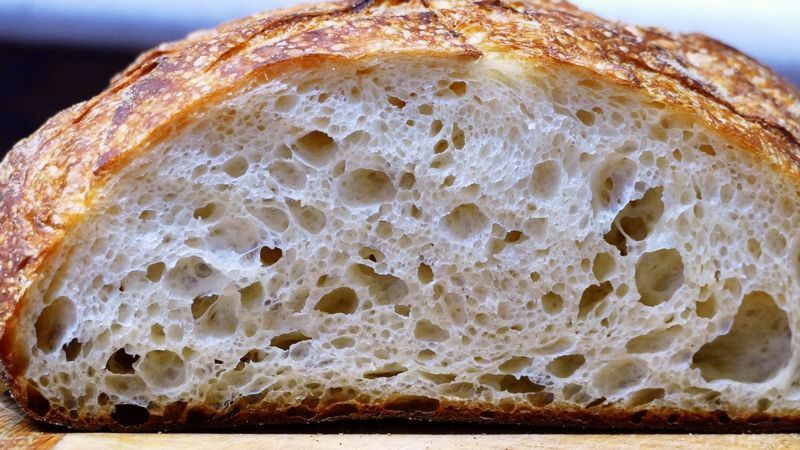 I was able in many ways to get a nice crust, chewy crumb and tangy loaf over the years but could not find a method that was actually controllable and gave that real elusive tangy flavor on a consistent basis. It was a hit and miss kind of thing. Sure adding whole grains to the dough would easily make it sour, but that’s not what I wanted because it didn’t taste right, it wasn’t the elusive flavor profile I was looking for. It could also be unpleasantly sour if you weren’t careful about timing, temperature and hydration with the added whole grain flour. Something was still missing. It wasn’t until after I attended a workshop in Belgium at the Quest for Sourdough, that I put the last puzzle piece into place. It was actually an “ah ha!” moment as it came together in my brain. I had been frustrated by the common advice to use a lower hydration dough which is kept cool to build up acidity (acetic acids). I found that bread made that way was usually sweetish and mild. Adding whole grains, again, could make it more sour but the acetic acid flavor wasn’t always pleasant or what I was searching for. Something was still missing. Once I had the revelation of what I needed to do I started experimenting and was very excited. I hoped this time I was on the right track because in the past I felt that doing something other than the standard suggestions should work. I experimented for weeks to dial it in, but the very first loaves I baked were very close to what I wanted. Imagine how I felt after starting this journey almost 14 years ago, when I bit into a tangy sour, chewy, crusty loaf of real San Francisco style sourdough! 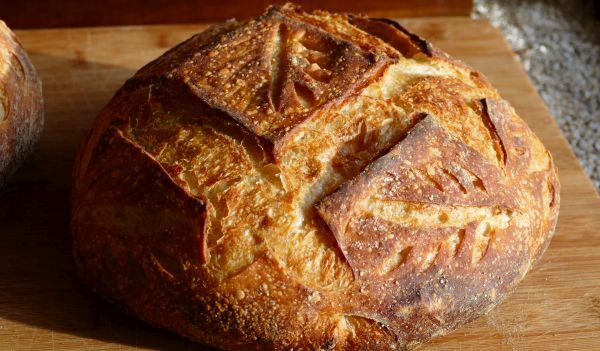 Many bakers do not care for the deeply sour San Francisco Style breads and that’s okay. It might have something to do with growing up on the western coast of the USA. I grew up here in the west and all along the coast we have tangy sourdough being sold in the markets. 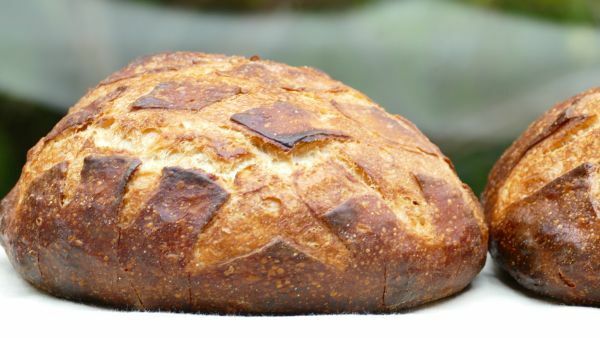 However, it’s very hard now to find a REAL sour loaf that isn’t spiked with artificial souring agents, citric acid, vinegar, other types of acids. Yuk. 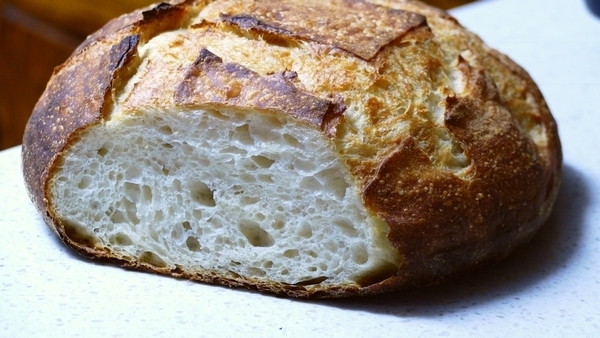 To those of us that bake the real thing (real fermented sourdough), the artificial acidity tastes terrible, very fake. It’s like drinking dried reconstituted coffee instead of freshly ground coffee or eating a boxed cheesecake instead of a home baked real cheesecake, or using margarine instead of real cultured butter… you get the picture. 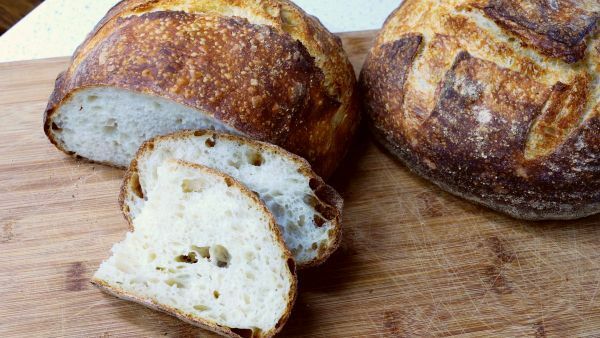 The method is simple for those that already know how to bake using a sourdough starter, but not as straightforward for those who have no idea how to use a starter. 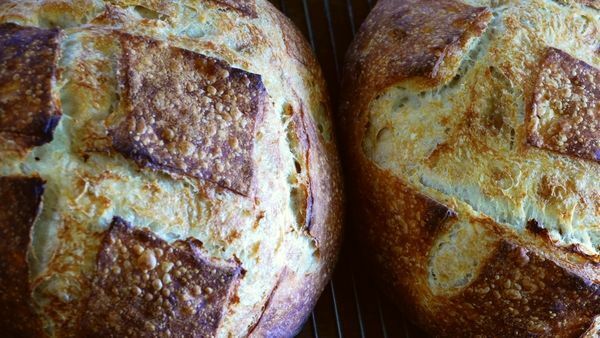 So for both categories of bakers, here are some discounts to my online courses to either learn the basics or to dive in and bake real San Francisco style sourdough bread right away. 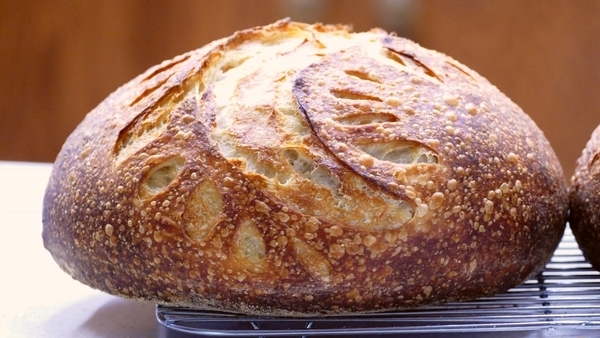 Bake San Francisco Style Sourdough Bread (You can find discounts for all eleven of my online courses HERE). 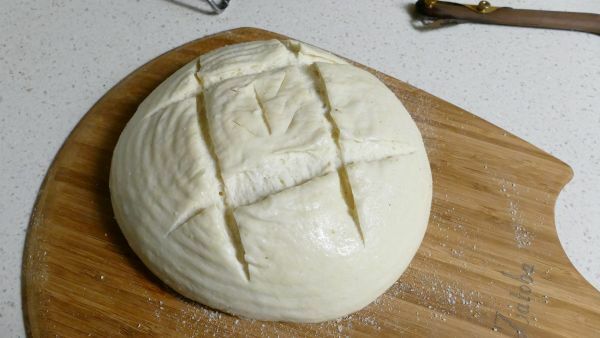 I would love to see any loaves you bake on my group “Perfect Sourdough” on Facebook. 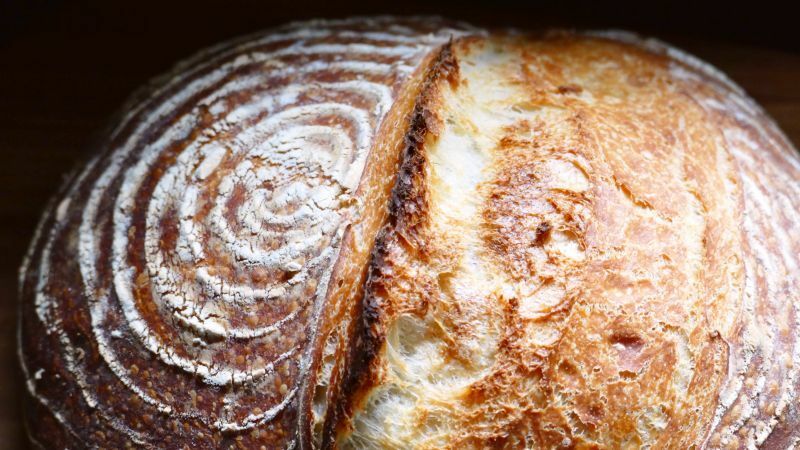 Most of all, have fun baking with sourdough, it’s a great passion to follow. 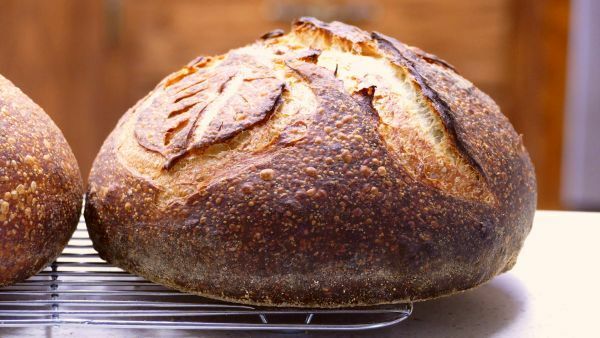 Do you bake with sourdough? 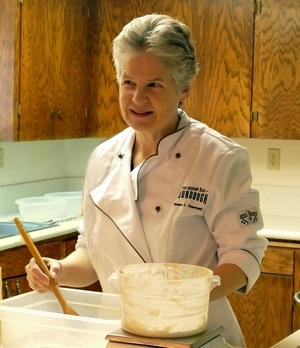 Leave a comment to tell about your sourdough journey.